Dr. Senft was named the Resident of the Year, reflecting his top ranking in the resident class by faculty. Prior to dental school, he attended Duke and Georgetown Universities and worked in the field of mergers and acquisitions for several years in Washington, DC. In his clinical practice, Dr. Senft focuses on blending the art and science of dentistry with modern technology. He strives to provide the highest quality, most technologically-advanced dentistry possible, in a comfortable and personalized environment. Staying at the forefront of dentistry requires continuous learning, which is why Dr. Senft devotes over 500 hours per year to continuing education. Dr. Senft is a member of the American Dental Association, California Dental Association, and Santa Clara County Dental Society. 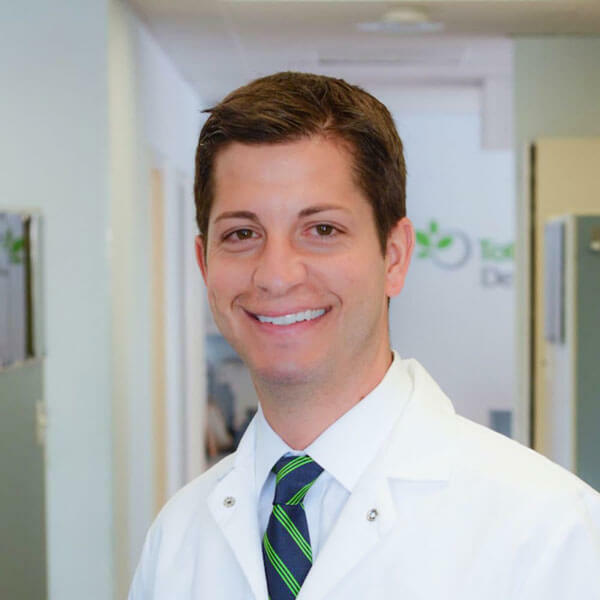 In addition, he is a Fellow and Master in the International Congress of Oral Implantologists, is a certified Invisalign® provider, and has performed thousands of CEREC® same-day porcelain restorations. In his personal life, Dr. Senft enjoys the California outdoors and plays drums and percussion.